Here's a jazzy sunset/sunrise video cycle of the Midtown skyline from a travelling vantage point above the East River, video below. The Cube Cities platform makes it easy to create an experience for night lighting effects for buildings in any city. 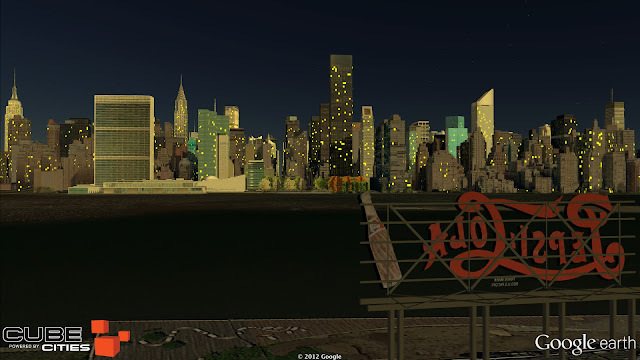 The product is a visualization that makes Google Earth come alive at night. Fullscreen, high resolution link here. More videos of our night time lighting effects are available for Chicago, San Francisco and two more for New York.